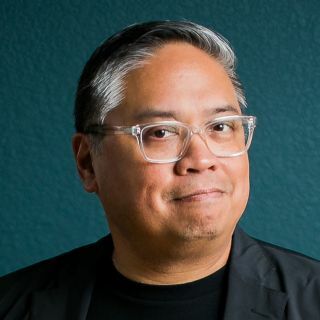 Manolo "Manny" Almagro, managing partner of Q Division and experience design expert, will give the keynote address at the AV/IT Summit on April 18 in Arlington, TX. MANNY ALMAGRO: I’m currently the managing partner of Q Division, a global transformative tech consultancy. Before that, I worked in several emerging tech startups; I sold my first one in 1995 and another in 2001. Since then, I’ve been working with emerging tech startups in various capacities—advisor, investor, and as an industry analyst. AVN: How did you get involved with experience design? MA: Along with my emerging tech experience, I worked for over 24 years inside several global marketing agencies. My job was to use technology to rethink customer experiences for clients in QSR, retail, pharma, C-store, airport, apparel, and banking. Sign up for the AV/IT Summit to meet and learn from Almagro and other top speakers like Justin Watts, Lisa Perrine, Victoria Ferrari, and more. AVN: How is big data changing the world of pro AV? MA: Everyone’s got a different definition of big data, but I think big data plays both a disruptor and enabling platform for pro AV. The deluge of “unstructured data” that’s being generated, combined with significant advances in computer vision, offer so many opportunities for us to leapfrog current solutions. AVN: What's the biggest step integrators can take to keep up with the ever-changing expectation of consumers? MA: If history tells us anything....integrators must learn to embrace and adapt to the trends quickly. If you don’t meet consumer expectations, you will be left behind. Consumers are short on patience and gravitate to solutions that make their lives easier and more efficient. Integrators and Consultants: Click here to register for the AV/IT Summit in Arlington, TX. Use code "SCNGuest" for complimentary admission. End Users and Tech Managers: Click here to apply for complimentary admission to the AV/IT Summit in Arlington, TX.